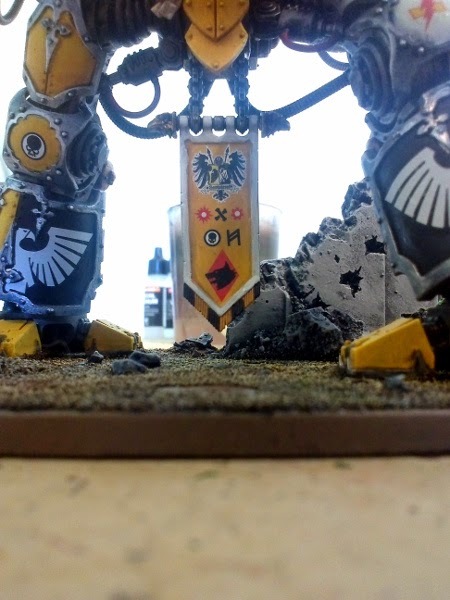 The Imperial Knight is getting closer and closer to being done. I headed into my FLGS on the weekend hunting for microset and microsol, which they didn't have and picked up some Vallejo gloss varnish, decal fix and decal medium. more on that later! 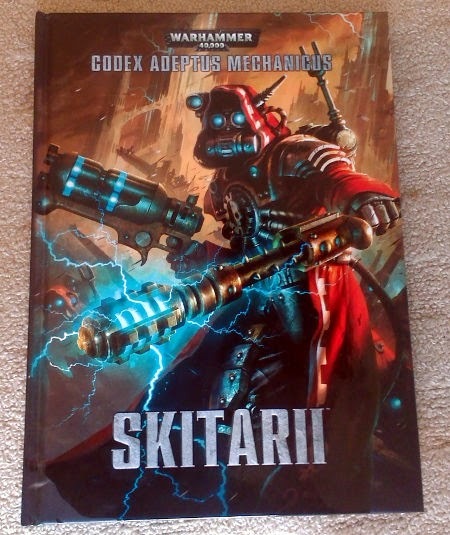 While I was there I completely gave into temptation and picked up a Codex: Skitarii and a set of Skitarii data cards (which in hindsight I probably didn't need as I only plan on running Skitarii as allies). I'm probably only going to pick up 2 boxes of the Vanguard/Rangers, minimal upgrades - a single box should get me 5 of each enough to field the minimum 2 Troops units for the Detachment. Probably the lowest cost of entry for an allied force I've encountered. That being said, the news that a new IK codex is about to drop might push that back a month - I'm a little frustrated that due to the slowness of my painting GW are actually going to re-release a codex that I've never actually fielded in a game. Grrrr. I still need to add some weathering powders to the base and feet, and some snow effect, so I'll hold off too many photos until then, but here is a sneak peak.